A small group of Santa Fe residents, under the age of 50, gathered for deep conversation about the City’s economy, housing, behavioral health and more. 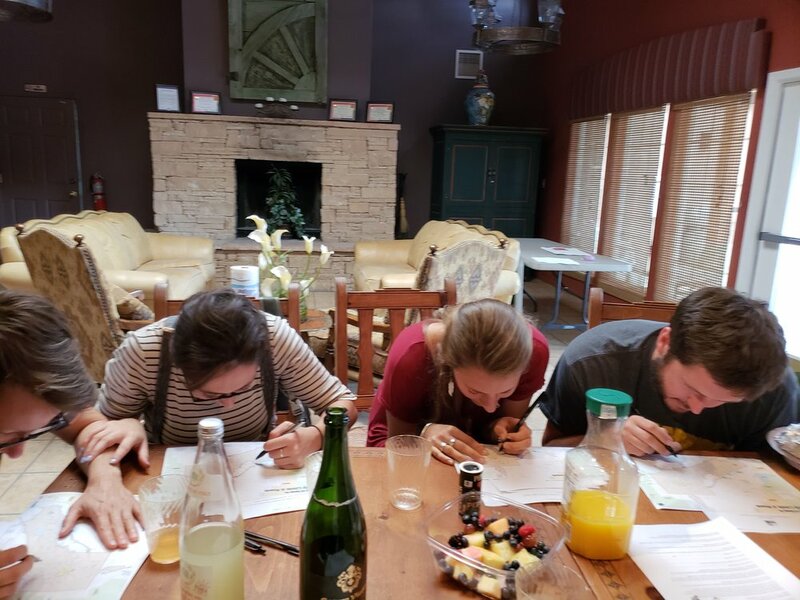 The group enjoyed brunch and bubbles as they mapped, shared, laughed and got personal about their histories and experiences. Flanked with prosecco and maps of the City, our first brunch group elaborated on cultural nuances, struggles and successes of finding gainful employment and affordable housing. Together, we identified some of the things that would make like easier in this town of 70,000 — particularly human services and options for entertainment.